I’m blogging through the AFI 100. You can read more here. For those who aren’t familiar Taxi Driver is about an mentally unstable veteran who deals with his insomnia and general dissosiative feelings toward the world. He has an unsuccessful relationship with a woman who is disgusted by his choice in dirty movies. After a run-in with a pre-teen prostitute and tries to liberate her from her lifestyle. He purchases several unregistered guns and teeters between assassinating the presidential candidate that his would-be girlfriend is campaigning for, and killing the man that pimps out 12-year-old Iris. 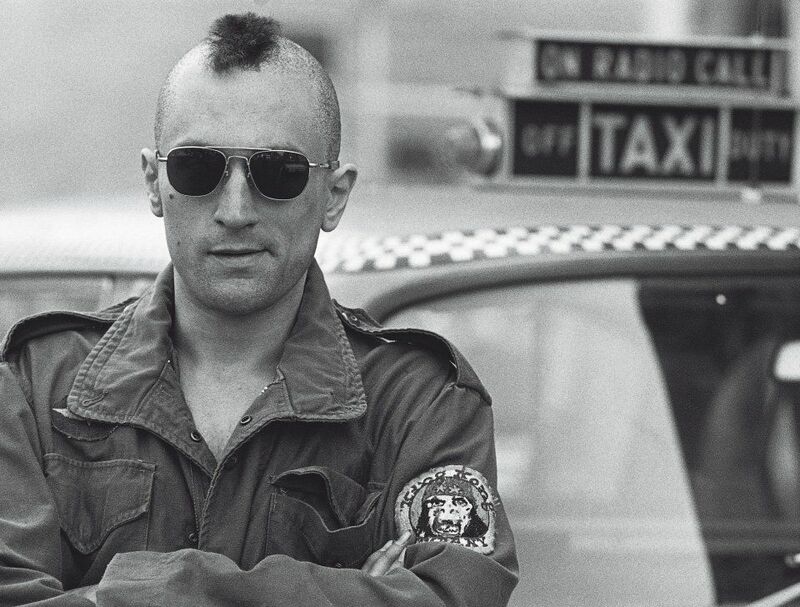 Taxi Driver is an odd movie. Aside from the fact that it feels like multiple plots surrounding the same character, it manages to meander while also having a speed uncharacteristic of it’s genre. It’s dark, somewhat twisty, yet notably faster paced than most of the dramas on the AFI top 100. It’s a well-acted film with plenty of intrigue and drama, but it also is heavily stamped by it’s era. Not because of the clothing styles but because of the filming style and score. I say this because many of the movies on this list have a quality that makes them feel timeless, but this one feels more dated. When the film comes to it’s conclusion I didn’t find myself as certain about what the worldview of the filmmakers is, which I think is a good thing. This film didn’t have any preachy positive view for sure, but nor did it have a totally cynical, angry view that I expected. It’s odd to watch this movie with a 33-year-old Robert DiNero who hadn’t yet become the caricature we’ve come to know today. 14 year-old Jodie Foster, who was already a well-known face, was having her break-out cinematic performance. Both of course are fantastic and it’s easy to see why this one made the list. I found it surprising that considering how dark the film gets, it ends on an up note.